Vanguard Archives - VIRTUALIZATION IS LIFE! Welcome to the 10th edition of Veeam Vault and the first one for 2018. It’s pretty crazy to think that we have already completed two months of the year. After an extremely hectic first half of January attending two of our Veeam Velocity Sales Kick off events (Bangkok for APJ and Saint Petersburg for EMEA) i’ve been working from the home office for close to six weeks. It’s been a productive time organising content and working with different Cloud teams across the business to help enable our VCSPs to take advantage our our cloud technologies and help them drive services revenue. Getting stuck into this edition, I’ll cover the releases of Veeam Availability Orchestrator, the Infinidat Storage Plugin and Update 5 for the Veeam Management Pack… all of which happened over the last week. I’ll talk about the Veeam Vanguard Program for 2018 as well as link to Veeam related content the Vanguard crew have put out over the past couple of months. Veeam Availability Orchestrator has been in the works for a while now and it’s great to see it hit GA. It boasts an automated and resilient orchestration engine for Veeam Backup & Replication replicas, designed specifically to help enterprises with compliance requirements. One of it’s biggest features is helping to reduce the cost and effort associated with planning for and recovering from a disaster through the automatic creation, documentation and testing of disaster recovery plans. For a deeper look at it’s features and functionality, Michael White has a good overview post on VAO here. Our new Universal Storage Integration API that was introduced with the release of Update 3 for Backup & Replication 9.5 allows approved Veeam Alliance Partners to build their own storage plug-ins to enable rapid development of primary storage integrations. Infinidat is our first Alliance Partner to integrate through the Universal Storage Integration API. This adds to existing integrations with Cisco, Dell EMC, HPE, IBM, Lenovo and NetApp. My fellow Technologist, Michael Cade has written up a blog post explaining how to download and install the plugin for those customers using Infindat as their storage backend. Update 5 for Management Pack went GA today and there are a few new things this release that builds off of the Update release 4 last year. below is a quick rundown of what’s new in this update. It’s pleasing to see support for VMware Cloud on AWS as that starts to look to gain momentum in the market and also great to see us enhancing our vSAN alarms as that product also evolves. For a detailed description of the new features, read the release post here. Overnight we notified new and returning members of their successful application for the Veeam Vanguard program for 2018. This is one of the most hotly sort after influencer programs in our industry and I can tell you that the process to vote for and accept applicants was tough this year. The Product Strategy team takes a lot of care and effort in selecting the group and it represents the best Veeam advocates going round. We work closely with the group and their feedback plays a key part in our feedback loop as well as help us to promote Veeam and Veeam products within their companies and spheres of influence. Well done to the 2018 nominees! Jorge de la Cruz – Veeam Veeam Announces Agent for Linux 2.0 – Backups to Cloud Connect and more! Vladan Seget – What is Veeam Availability Orchestrator? Welcome to another Veeam Vault! This is the ninth edition and given the last edition was focused around VMware and VMworld I thought just for a change, the focus for this edition will be Microsoft. Reason for that is over the past couple of weeks we have had some significant announcements around Azure Stack and the GA release of Backup for Office 365 1.5. I’ll cover both of those announcements, share some Veeam employee automation work that shows off the power of our new APIs and see what the Veeam Vanguard’s have been blogging about in the last month or so. The early part of my career was dedicated to Exchange Server however I drifted away from that as I made the switch to server virtualization and cloud computing. The old Exchange admin in my is still there however and it’s for that reason that I’m excited about the GA of our Backup for Office 365 product which is now at version 1.5. This release caters specifically for service providers adding scalability and automation enhancements as well as extended support for on-premises and hybrid Exchange setups. Backup proxies: take the workload off the management server, providing flexible throttling policy settings for performance optimization. Support for multiple repositories: Streamlines data backup and restore processes. Support for backup and restore of on-premises and hybrid Exchange organizations: Allows a variety of configurations and usage scenarios and implement those that meet your particular needs. Increased performance: Restore operations allows for up to 5 times faster restores than in v1.0. 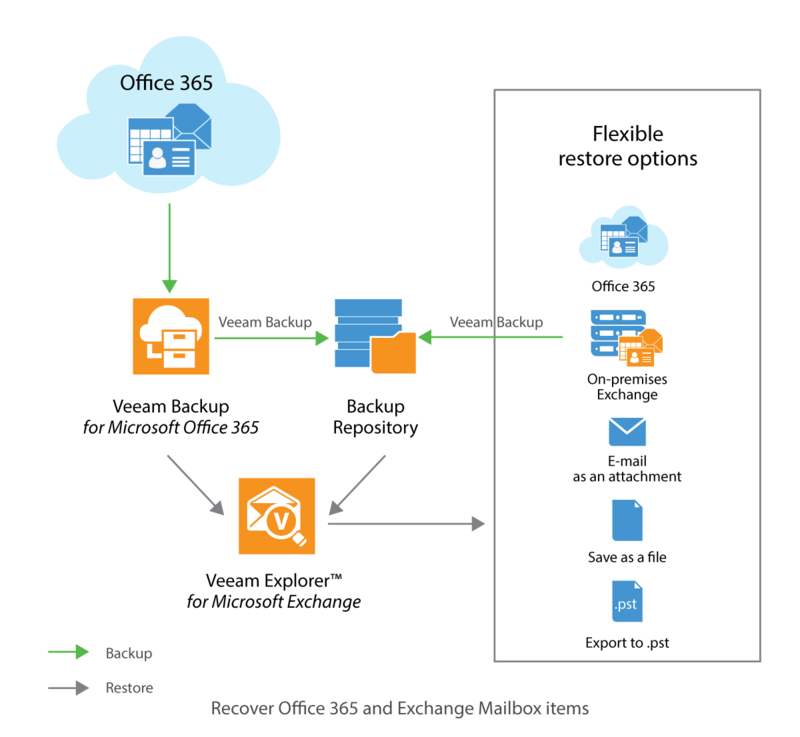 Restore of multiple datastore mailboxes using Veeam Explorer for Microsoft Exchange: simplifies workflow and minimizes workload for restore operators, as well as 1-Click restore of a mailbox to the original location. RESTful API and PowerShell cmdlets: Helpful for automation of routine tasks and integration into existing or new portals. UI Enhancements: Including main window, wizards, dialogs, and other elements, facilitating administration of the solution. One of the features of Backup for Office 365 was the addition of a power set of RESTful APIs and PowerShell commandlets that are aimed are service providers automating the setup and management of their offerings around the product. A couple of our employees have written example interfaces for the Backup for Office 365 product and it shows that any service provider with some in house programming skill set can build customer portals that enhances their offerings and increases efficiency through automation. Special welcome to Niels who this week joined our team. Great to have you on board! Reporting & Billing: Veeam Availability Console supports real-time monitoring and chargeback on tenant usage, allow either Hosting providers or Enterprise organizations to easily manage and bill their tenants for Availability usage. Mike Preston Veeams willingness and responsiveness to change may be their biggest asset. Time flies quickly when you’re having fun! 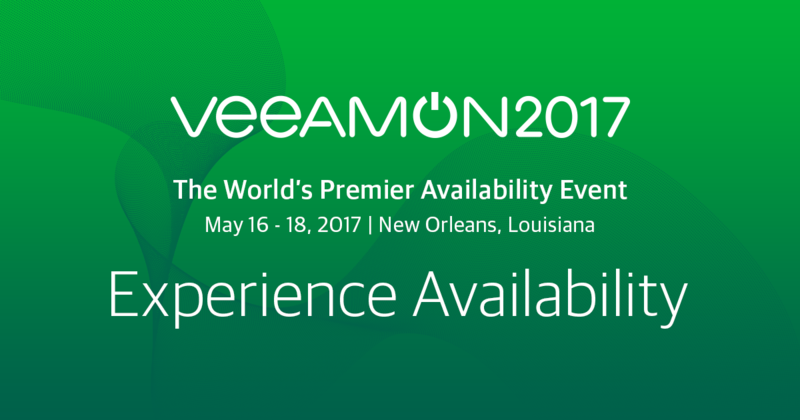 VeeamON 2017 kicks off in New Orleans kicks off in just a few days and to say that it’s been a hectic period for the Technical Product Marketing Team and anyone at Veeam involved with VeeamON would be an understatement. All the hard work being done behind the scenes should result in a brilliantly executed event and there is going to be a lot on offer in terms of content, product announcements, learning and networking opportunities during the event. I would encourage everyone going to make sure you attend all three (one partner only) General Sessions to hear about how Veeam will continue to innovate and deliver around our Availability vision. In this Veeam Vault I am going to round up some of the blogging content around VeeamON 2017, briefly talk about Backup & Replication 9.5 Update, the RTM of the Agent for Microsoft Windows and finish with a Veeam Vanguard Blog Post roundup since the last Veeam Vault edition. For those attending VeeamON next week, see you there! For those that hadn’t notice Veeam has rebranded and produced a new logo. Most, if not all of our public facing sites have been updated to reflect the new branding and even though I now have to throw out a number of relatively new polo shirts, I am a big fan of the new logo. A couple of weeks ago we released RTM builds of Backup & Replication 9.5 Update 2 as well as Veeam Agent for Microsoft Windows. GA isn’t far away so if you are a Veeam Cloud and Service Provider and haven’t upgraded to the RTM build yet you are probably behind the eight ball in terms of being in a position to support VAW for when it does GA. Veeam Agent for Microsoft Windows represents a massive opportunity for our VCSPs to tap into a market that was previously not accessible…this being, physical severs and workstations, workstation endpoints and more significantly cloud based Windows instances…all of which can now be backed up to Cloud Connect Repositories. A number of my team mates have written veeam.com blog posts about what to expect at VeeamOn this year and they are well worth a read. I, myself wrote a post last week where I listed my top sessions for 2017. 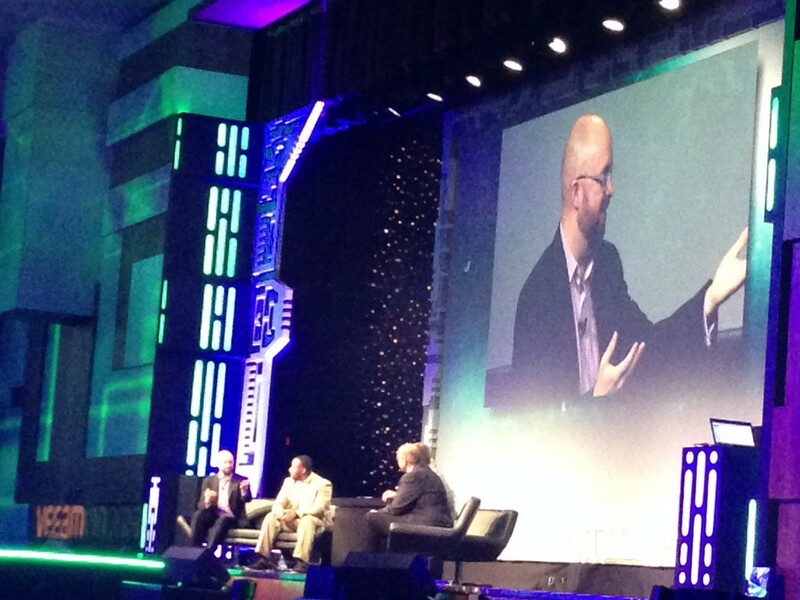 Check out the posts below to get even more info on happenings at VeeamON. 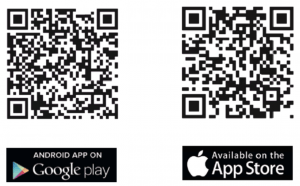 There is also an online version of the app which can be found here. Luke Brown – Data Sovereignty, Data Locality, is it important to stay local? VMGuru – VeeamON 2017 – the best conference this year of virtualization. Come – let’s meet! As most of you know I am now working at Veeam as a Technical Evangelist focusing on Veeam’s Service Provider products and working with VCSP’s to help enhance service offering around Veeam’s product portfolio. 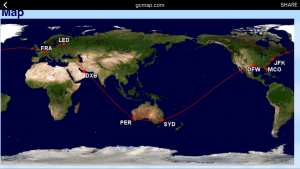 Part of that role is creating offical content for online materials and presentations however I still intend to keep this blog pumping and continue to write about all things hosting and cloud…especially when related to the vCloud Air Network. Today I am writing the first of my Veeam Vault series which I intend to use as my working title for all Veeam related news around anything Veeam related. To kick things off I am going to talk about the VeeamOn Call for Presentations and the 2017 Vanguard nominations. VeeamOn is being held next year in New Orleans during May and the Call for Presentations is now open to those looking to submit a session at the event. This is a great opportunity to share you insights and experiences that you have gained in and around Veeam software solutions. Below are the content area’s for submission of which you must head to the CFP site and submit an abstract. Abstract must be 200 to 250 words, complete with title and supporting bullet points. The huge news is that if selected, presenters will receive a complimentary VeeamOn registration pass along with travel and hotel accommodations. If that’s not a great reason to submit a session then I don’t know what is! Head to the site below to submit an abstract before February 7, 2017. As an added extra, if you have a session you want to co-present with myself on anything Veeam Cloud Connect related, let me know and we can work on a joint submission. As a former Vanguard it’s exciting to now be on the other side of the nomination process and I would encourage anyone who has a passion for Veeam and has demonstrated that passion through community engagement and content creation to nominate for the 2017 intake. As I have mentioned before, this is one of the greatest advocacy programs in our industry and there is no doubting the positive impact being part of the Vanguard program brings to members of the group…both on a professional and personal level. Vanguards receive a number of exclusive program benefits — honestly, too many to list — but among these extensive benefits are a private forum site, elevated access to Veeam Product Management, and private webinars and briefings. We’re continually adapting the program based on feedback from the Vanguards, as well as catering program benefits to innovate the program for this elite group. Additionally, we are planning a great experience for Vanguards at VeeamON 2017, so this will be a great year to participate. Please note that nominations will be accepted up until Friday the 9th of December 2016 so hurry and nominate yourself or someone you believe is worthy of joining the Vanguard program. Veeam Vanguard nominations are now open for 2017! 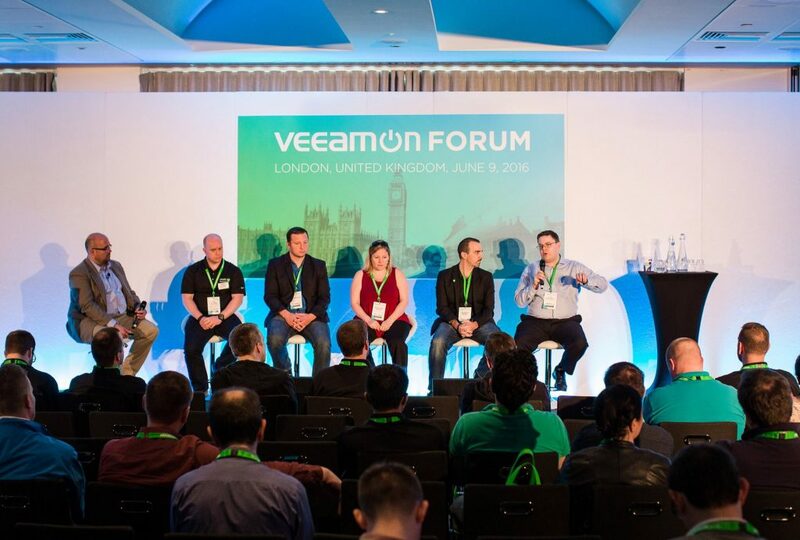 A couple of weeks ago I was lucky enough to be in London attending the Veeam Vanguard Symposium organised and hosted by the Veeam Evangelist Team headed by Rick Vanover. The week was book-ended by the VeeamOn Forum at which I was invited to be part of a panel with other Vanguards hosted by Rick. The discussion was varied and the panel discussed a number of topics relating to backups, cloud, certification and all things Veeam covering multiple technologies ranging from VMware, Microsoft to Hyper-Scale clouds and certifications. The session was recorded and is now available as a podcast which is embedded below. Thanks to @Cragdoo @DaveKawula @SuperCristal1@Lost_Signal for making the panel fun and engaging. 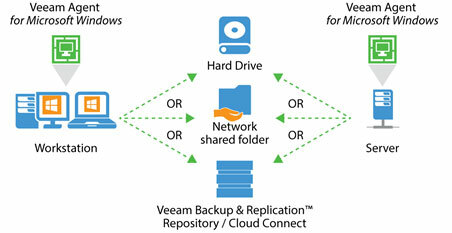 Big news also this week with Veeam releasing the eagerly anticipated public beta for their Linux backup product. This was first announced at VeeamOn in Las Vegas last year and the Vanguards got the low down on the product during the London week..including information about the change of name from Endpoint to Agent. It’s exciting for Veeam to have this as an offering as it acts to complete their existing product set to include native physical or virtual Linux platforms. I literally just downloaded and installed in the last five minutes and already have it running on one of my Lab Ubuntu VMs. There are some great applications of this agent when you think about futures around extending the backup repository out to Cloud Connect Backup endpoints. You can’t backup to a Veeam Backup & Repository Server just yet in this beta. For more information head to the Veeam Blog Post here. And head here to join the public beta. 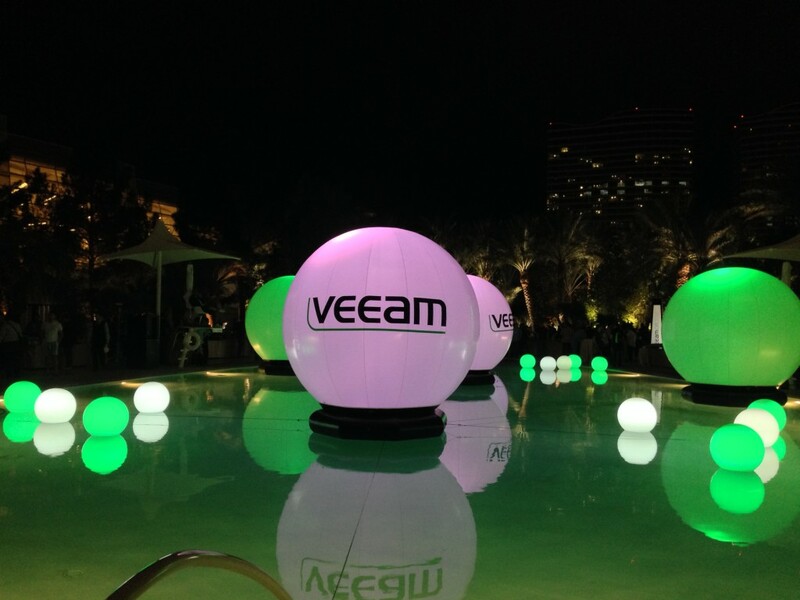 Last week Veeam held their second VeeamOn Conference in Las Vegas at the Aria Resort and Casino. Before the event kicked off last Sunday I wrote a post on my expectations and session recommendations…glad to report that the week was a success and Veeam certainly know how to organize and execute an event. Before going into my thoughts around the actual event I wanted to comment on Vegas given this was my first time to Sin City. In a nutshell Vegas is total madness and walking around Sunday afternoon before the party I realized that everything people say about Vegas was true… it’s a true party town filled with everything to the excess …which is fine by me but I can see how it would be a distraction to conference attendees if you allow it. Vegas has a different vibe to San Francisco but the one great thing over conferences I’ve attended in SFO is that everything is self contained within the casino which means easier access to the exhibition center and therefore access to sessions and content. Sunday saw registrations open, the launch of the VCME training sessions and The Welcome Party held poolside at the Aria which was well attended but most people seemed to arrive on the Monday was also Partner Day and saw the opening of the Exhibition Hall and official opening of the event. The sponsors as you would expect in one way or another where promoting storage and services that compliment Veeam’s product suite. It seemed like there where a few Cloud Connect Service Providers which is a great testament to Veeam listening to SPs who wanted an easier way for clients to backup to the cloud. During the day on the Monday the Veeam Vanguards where treated to a special half day of presentations from members of the Executive, Evangelist, Marketing, Support and Product teams which was extremely insightful and I tip my hat off to Rick and the rest of the Vanguard team for organizing a great days worth of content, thought and discussion. Tuesday morning (seemed like I had been at the event for ages) saw the Opening Keynote in the main hall which was one of the best opening keynotes I’ve experienced in all my times going to VMware and Microsoft conferences. Ratmir got on stage with Richard Laible and was interviewed in a somewhat awkward manner…but during the interview lifted the lid on Veeam’s major announcement around Endpoint Backup for Linux Free Edition. That was followed by the Veeam All Stars doing a quad demo live on stage in what was a ballsy move that worked really well and acted as a vehicle to show off some of the major new features in the v9 of Backup and Replication. Lastly Veeam held a customer panel featuring Zettagrid and my COO Nicholas “Max” Power which involved the panel being interviewed on their thoughts on technology trends and what they thought the future might hold. This was a proud moment for me to have Zettagrid up on stage all due to the great work we have done with Veeam in being names Cloud Service Provider of the year for the ANZ region. I finished off the day by attending the Veeam ANZ dinner and having a great time catching up with Veeam ANZ team members and other customers from the ANZ region. Though the next couple of days I attended a sessions and tried to network as much as possible before setting off for the big party at Omnia Night Club at Caesars Palace…Veeam are know at VMworld’s for their great parties and this VeeamOn party was seriously off the carts! Between the amazing food, drinks, music and girls the night was amazing and I know that everyone who attended had one of the best conference party experiences bar none! I know that (as responsibly as humanly possible) many people ended up kicking on afterwards and the Aria Lobby bar was the place to be right up until the early hours of the morning. With about 3 hours sleep under my belt I got up, demolished breakfast and organized a late checkout before heading out to the closing keynote which featured William Shatner. William was amazingly incitful and held his own for about 45 minutes on stage being interviewed and being asked about his career, influencers and then commented about humanity in general…the take away for me and Shatners closing remarks was that we are heading into a truly amazing time when it comes to science but humanity need to start valuing life in general and the planet we live on…science advancement much go hand in hand with sustainability and respect. With that deep and meaningful thought out of the way Ratmir came back onto the stage with the whole VeeamOn team and announced that that would be no VeeamOn in 2016…but the next VeeamOn would be in 18 months in New Orleans! So with that VeeamOn was over and we started the long long trip home. Once again thank you to Veeam and a special thanks to the VanGuard team for hosting us and treating the group as royalty. After not being able to share for a month or so it’s a honour to announce that I have been selected to be part of the inaugural Veeam Vanguard Program. The Veeam Vanguard Program is a hand-selected list of people of all backgrounds who Veeam feels embraces our brand best in their communities. Some Vanguards are bloggers, some are active on our Veeam Forums, some are active on Spiceworks sharing a lot of Veeam-specific information and the list goes on for all of the ways Vanguards have engaged. It’s an honour to be part of the program at it’s infancy that has been influenced by other Technical Award programs like the VMware vExperts and Cisco Champions The initial group of vanguards consist of 31 IT professionals from all around the world. The team behind the program has done an excellent job putting together the program with the page below showing all the Vanguards Bio, Social Media details and nationality. At Zettagrid we have been able to push the limits of Veeam Backup & Replication by integrating it into our IaaS Platform for VM level backups while offering Cloud Connect for BaaS solutions and we are looking forward to improving that integration with Cloud Connect Replication coming in version 9 as we look to build on our ANZ Cloud Provider of the Year for 2014 Award. Just to finish off…thanks to Rick Vanover for spear heading the program and to the rest of the Veeam Vanguard team shown below. A special shout out to Luca Dell’Oca for championing the Cloud Connect product for Service Providers. Looking forward to being an active contributor to the program! The vanguard (also called the advance guard) is the leading part of an advancing military formation. It has a number of functions, including seeking out the enemy and securing ground in advance of the main force. The vanguard derives from the traditional division of a medieval army into three battles or wards; the Van, the Main (or Middle), and Rear. The term Vanguard originates with the medieval French avant-garde, i.e. the ward in front. The vanguard would lead the line of march and would deploy first on the field of battle, either in front of the other wards or to the right if they stood in line.